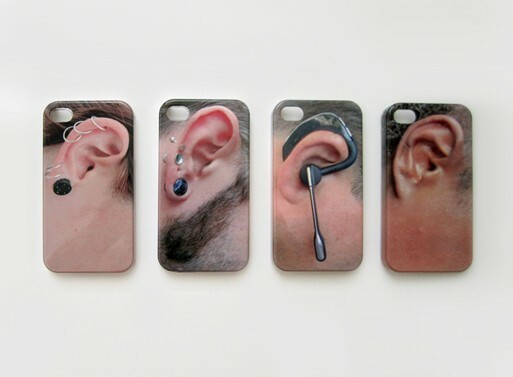 These are some other awesome iPhone cases that I would love also. Protecting your pretty phone while staying in style with the Wood Camera iPhone 4 Case. Looking like a true retro camera, the case is a tribute to the old school days when rolls of film were still used. It is made with sustainable materials like bamboo and walnut. Lasers are used to create the design to ensure that the engravings are intricately detailed and accurate for an authentic look and feel. 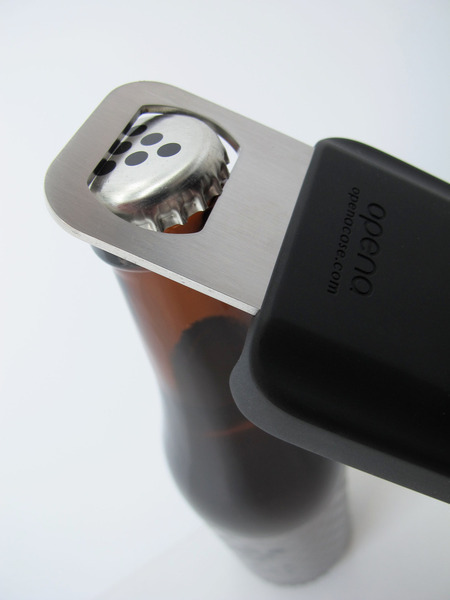 The case comes in two designs that depend on your choice of color and style. I like the darker one myself. 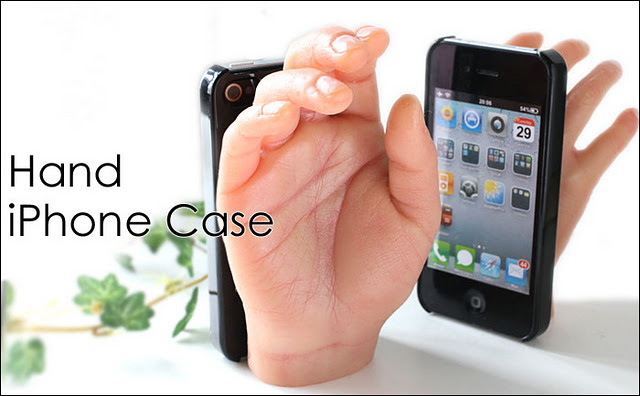 Hand iPhone case, made in Japan. Hilarious and creative! 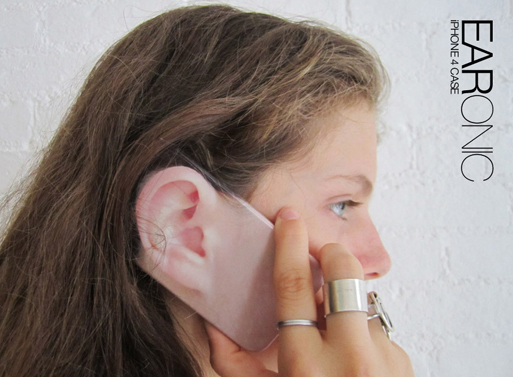 If you are ever lonely, you can now hold hands with your iPhone. Japan has never shied away from releasing merchandise that seems to serve no purpose other than being creepy. This one is no exception. So perfect right. 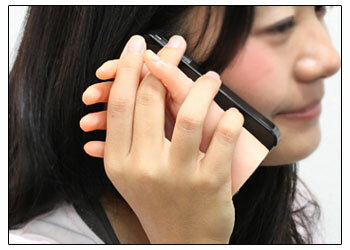 The hand phone comes in two different selections, one with a fake woman's hand called "Nami's Hand" and another even creepier version with a fake child's hand called "Yamato's Hand". Both version sound and look like something that escaped from a Japanese horror movie. I would love to interchange strange cases daily. It really sounds fun to me. I think this is just funny. Fred and Friends Flashback iPhone Case Our old-school calculators didn’t do much work during math class, other than typing out words like "hEll" and "BOOBIES". Still, seeing them shoots us back Delorean-style and puts a smile on our face. 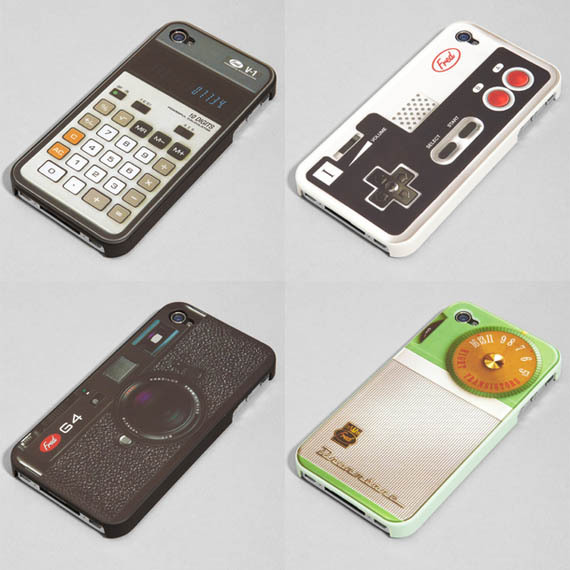 Now, you can protect your modern iPhone with some nostalgia. Disguise it as a Nintendo controller, dial radio, or a retro style cool camera. It feels like technology moves at warp speed, so this is the perfect way to hold on to a bit of your youth while you organize your entire life on a pocket size gadget that would have literally exploded your head in the 80′s (okay, not "literally"). 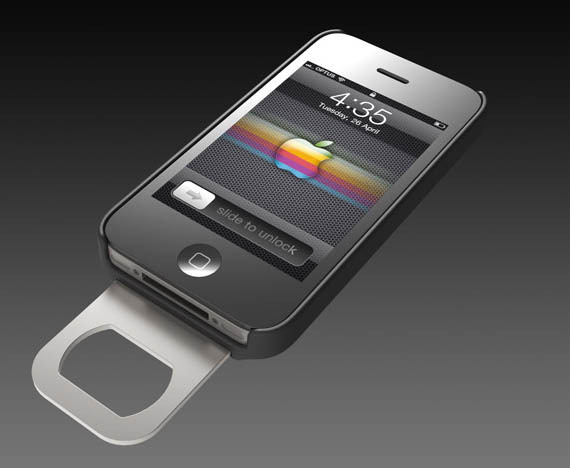 Next we hope they make an iPad case that resembles a Trapper Keeper. That would rule right! or maybe a Ghetto Blaster! That wood camera one is pretty badass. wow this is so cool! I'll switch my BB for an iphone, and I'll get the wood camera.